This entry is just for testing the installer of Microsoft Office 2013 (aka Office 15) office suite. Reports on specific programs included in Office 2013 should be submitted to their respective AppDB entries. 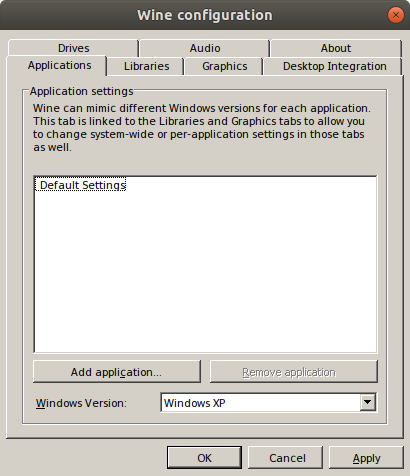 Installation and starting Word, Excel and Powerpoint. If you try to install Microsoft Office Professional Plus 2013 English (32 Bit) on a Ubuntu 18.04 LTS (Bionic Beaver) System, you may have problems during installation. I explain how I managed to successfully install it. 2. Start the installation process. 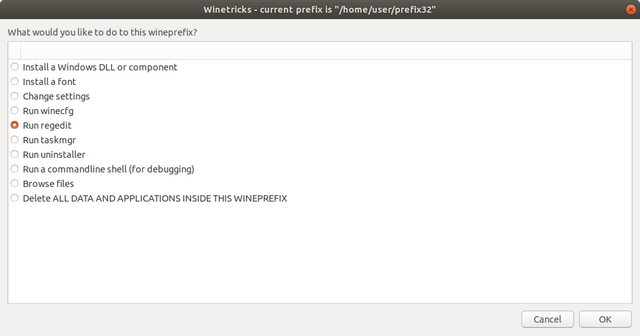 In this example I use $HOME/prefix32. The folder will be created by wine and may not exist already. 3. We have to install an additional component. A window will open as in the following image, apply configration like photos. Here you most add a new key and DOWRD value. Then set the Windows version to Windows XP. 6. As a last step reboot your operating system, after that you will find word, excel and powerpoint in the application menu. other applications except for Word, Excel and Powerpoint. I installed it in KVM Virtual Machine. 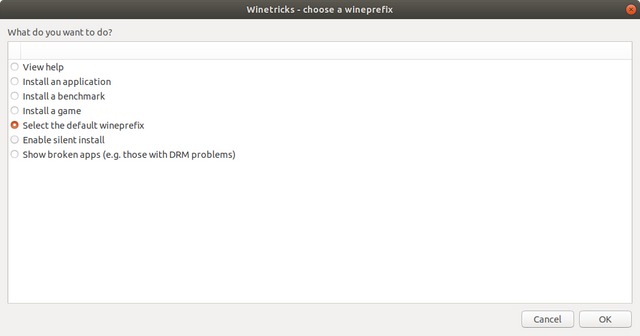 There are known regressions affecting the Office 2013 installer in the versions of Wine listed below. Do not attempt to install in them. 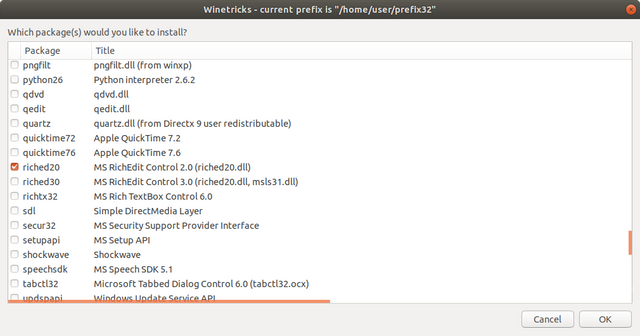 Where is the HKCU\Software\Wine\Direct3D\ entry? I just managed to install office 2013 with the help of this entry! Thanks a lot! But when i run Word I also entcounter the black window problem. I searched out fot the HKCU\Software\Wine\Direct3D\ reg entry but i couldn't even find the Direct3D entry anywhere. Am I missing something? RE: Where is the HKCU\Software\Wine\Direct3D\ entry? Damn it works! Great! Thanks and sorry for the newbie stuff ;) But I am not an expert on wine! Really strange problem: With msxml6 installed, no product key works anymore! And mount the img file OfficeProfessionalPlus_x86_en-us.img to /mnt/iso. The behaviour of the setup changes! It starts with first asking you to enter a product key. And no matter what product key I entered, they all never worked (even though they should). Without installing the msxml6, I saw a bunch of xml related messages in the output when launcching the setup, but in this case the setup right away offers to configure and install ms office! Is that logical that with the msxml6 installed, this would then actually /break/ something ? If helpful, I could provide debug output and/or file a bug report. Thanks a lot in advance for any feedback!